The 080 Cornermate is a new heavy-duty cornering system designed, developed and manufactured by accucutter®. It is for .080" Aluminum and .250" flexible plastic. The 080 Cornermate system consists of the 080 Cornermate Table and the 080 cutting units. The table includes an adapter plate and a reversible guide to permit the use of all of the 080 cutting units regardless of size. The table is mounted on a standard arbor press. Like all Cornermate cutting, the alignment system is part of the 080 Cornermate cutting unit so it is always properly aligned. The 080 Cornermate cutting units also have replaceable steel alignment guides. In the event that the guides wear through use, they may be replaced restoring the proper alignment of the cutting unit. Another accucutter® first. An enhanced version of the 080 Cornermate Table has been developed. The enhanced table, the CM80SPCL, is also based on an arbor press and very similar to original but with two important differences. It is approximately six inches wider, and a pivoting disc or adapter has been added. The disc/adapter has two positions. In one position, the disc/adapter places the punch at an angle to the operator for convenient corner punching. In the other position, the disc/adapter places the punch square to the operator for more convenient slot punching. 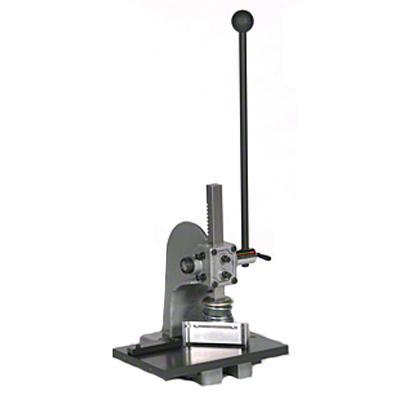 The CM80SPCL table has additional tapped holes that can be used to set up stops or guides for repetitive slot punching. All of the 080 cutting units will work with the CM80SPCL. The 080 Cornermate tables and cutting units are sold separately. accucutter™ 080 Cornermate Die, 3/4" Round. The more dies you have, the greater range of benefits to your clients. This die is used with the cutting unit CM80, which is sold separately. accucutter™ 080 Cornermate Die, 1/2" Round. Collect dies to enable versatility in your work. This die is used with the cutting unit CM80, which is sold separately. accucutter™ 080 Cornermate Die, 1 1/2" Round. Round dies are often needed in sign work, or for bolting areas. This die is used with the cutting unit CM80, which is sold separately. accucutter™ 080 Cornermate Die, 1/4" X 3/4" Slot. Slot dies are often needed for name tags. This die is used with the cutting unit CM80, which is sold separately. 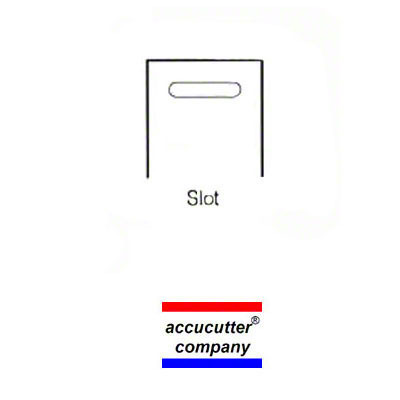 accucutter™ 080 Cornermate Die, 1/4" X 1/2" Slot. Purchase additional dies to extend the range of your cutting operation. This die is used with the cutting unit CM80, which is sold separately. 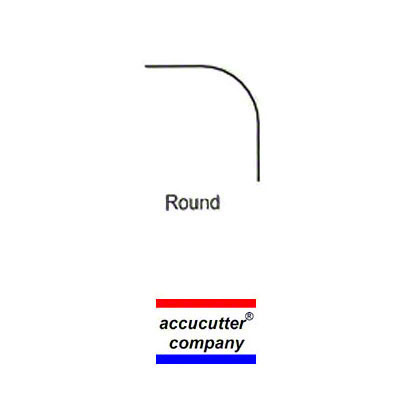 accucutter™ 080 Cornermate Die, 1" Round. Purchase additional dies to extend the range of your cutting operation. Is used for the cutting unit CM80, which is sold separately. 2) it places the punch square for more convenient slot punching.